If you have dogs, you know the value of a good dog wipe. After many, many years of trying different brands — and the extinction of my last favorite — I believe I have found ones that are even better. In fact, I am just going to go there: These are the best! Some may argue that they are over-packaged, but the individual packets are perfect for one-the-go dog clean-up and keep the whole lot of them from drying out. (Clorox Wipes, anyone?) And they smell heavenly — a nice clean lavender scent that just makes slightly-less-than-clean dogs smell a whole lot better. Like! 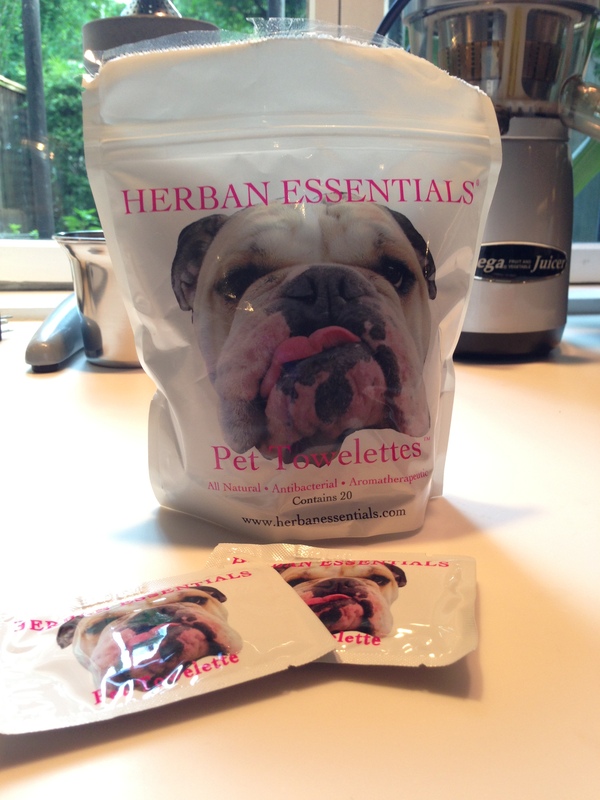 Hearban Essentials Wipes can be purchased at http://www.herbanessentials.com and at http://olivegreendog.com, which also sells my very favorite shampoo for my little monsters. You are currently reading Have I Mentioned?? Dog Edition at Some Cozy Night.